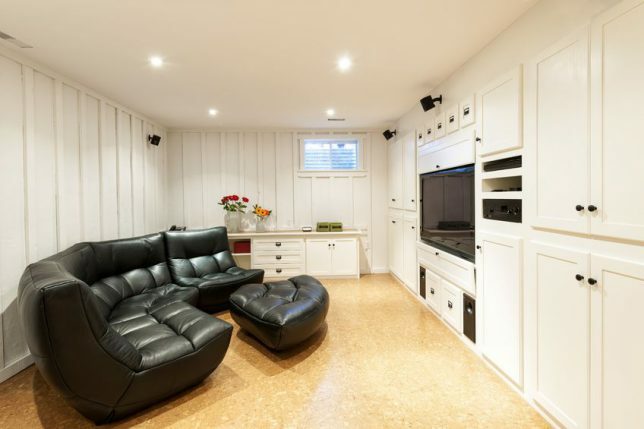 A basement has an environment unlike any other room in your house. Below-grade spaces come with some challenges (mostly water-related), but with a basic understanding of the types of materials that are appropriate for basements, you can minimize some of the problems that dampness there can cause. Here’s what you need to know before you call a basement remodeling contractor for your project. There are actually two floors to address in your basement remodeling project: the subfloor and the finish floor. Getting both of these right will go a long way toward warding off problems later. For your subfloor, look for materials that lock together and are made of polystyrene. You can use a plywood subfloor on two-by-fours as well. 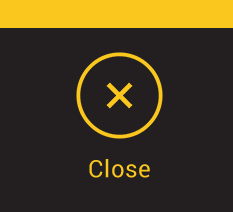 The goal is to lift your finish floor above the moist ground. For your finish floor, inorganic flooring such as ceramic tile, porcelain tile or concrete are good choices. Avoid solid hardwood altogether, and do your homework before using other materials that can be affected by moisture, such as low-pile carpet or laminates. Materials used for walls in a basement should have qualities that do a number of things, such as provide insulation, enhance soundproofing and be resistant to mold and water. Wall materials should have an R-13 insulation rating at minimum or be a product to which insulation can easily be added. There are hard-board insulated wall panels on the market that are designed specifically for use in damp basement environments and that allow vapor to permeate and disperse. If you choose such a material, look for one that includes warranty coverage against mold and moisture. Also avoid wall materials that give mold the “food” it loves, such as the paper backing on drywall. Solid inorganic wall panels are available that don’t give mold what it needs to grow. If ducts and pipes are part of your basement ceiling — and if local codes require a height of seven feet or more — you may not be able to have a single-level, smooth ceiling. If you do have the space, however, there are a number of ceiling options for you. You can install a suspended or drop ceiling that forms a continuous surface with acoustical panels that fit into a grid. It can hide all of your ductwork while still allowing fast access to it. If you have pipes or ducts that don’t cover the entire basement, you may be able to use soffits or boxes just around the pipes and have higher ceilings elsewhere in the room. As with walls, drywall has its drawbacks. If you need to get to equipment or utilities above your drywall ceiling, you’ll have to cut holes in it. And, if you have a leak, the whole ceiling can be ruined in short order. If you do want drywall, be sure your basement finishing contractor includes some type of access points if possible. 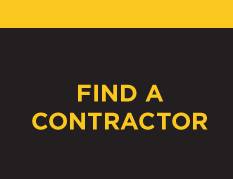 Get the job done right with Contractor Connection. Our network of experts includes basement remodeling contractors whose workmanship is backed by an industry-best three-year warranty. We’ll match you with a single contractor with the experience to finish your basement to your satisfaction. To get started, simply enter your ZIP code at the top of the page and a top-quality basement remodeling contractor will be in touch within 24 hours.